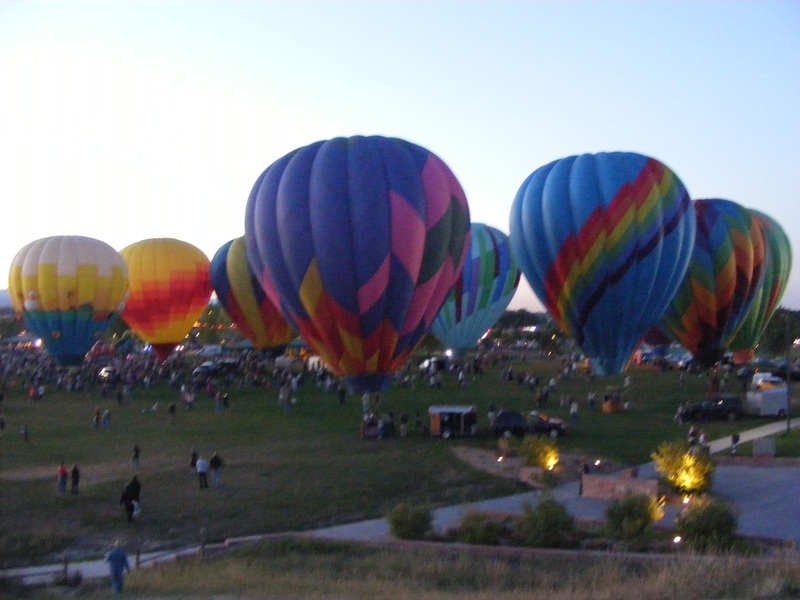 LITTLETON, Colo. – The 14th annual Columbine Memorial Balloon Glow, held by the Colorado Balloon Club (CBC), took place at the Summerset Festival Sept. 14 at Clement Park. This event was created to honor those who lost their lives in the 1999 Columbine High School shooting. The event took place in the shadows of Columbine, and next to the memorial built to honor the 13 victims. Many people, including current students of Columbine, viewed the event from the top of “Rebel Hill,” a hill that overlooks the memorial and is named after the Columbine High School athletic teams. 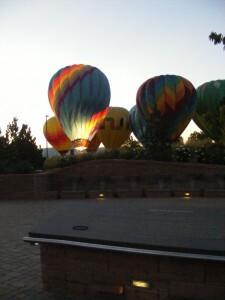 Since the inaugural Balloon Glow back in September 1999, the club has attempted to fly 13 balloons at the festival; however, this year they fell two short. 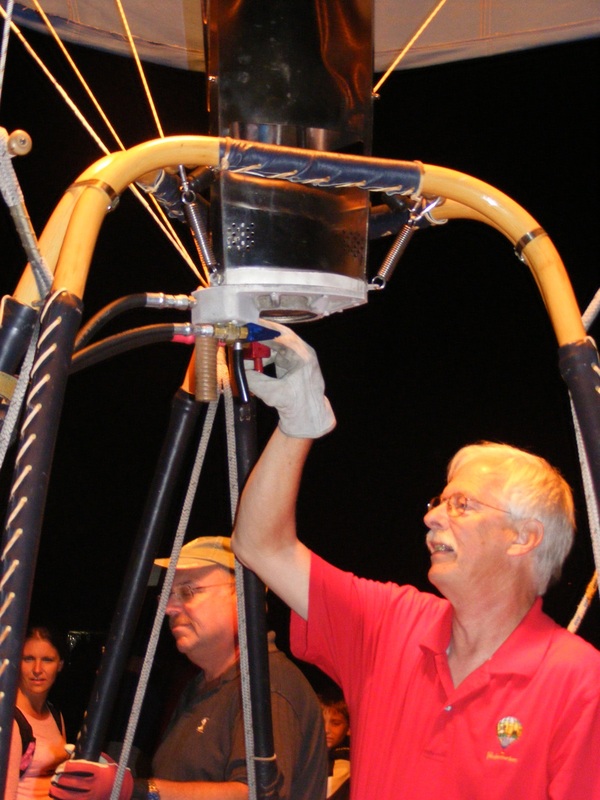 “Sometimes it is tough to get all 13, people retire and it just doesn’t always work out, but we try to do our best,” said Alan Luksik, president of the CBC, and coordinator of the balloon glow. 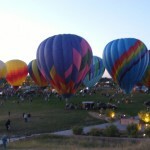 Of the 11 balloonists, four of them were first timers including Tamie Folley – a balloon hobbyist who is a volunteer victim’s advocate for the Colorado State Patrol and the Fort Collins Police Department. When then president of the CBC, Dale Freeman came up with the idea for the memorial, he too was thinking about the victims and the community. 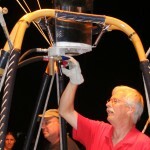 Among those in attendance at this year’s event, was retired balloonist Frank Kafka — whose been a part of the event in the past, but this year he enjoyed the event as a spectator. Despite not participating this year, the event still carries a deep importance to him, because Kafka’s kids were attending Columbine when the shooting took place. “This event hits close to home for me,” Kafka says. Luksik says the club doesn’t have anything lined up to honor those affected by the Aurora theater shooting this past summer. They’ll have to wait and see what happens. Apart from the Columbine Balloon Glow, Luksik and the CBC are involved in an event for Craig Hospital that takes patients, who are medically cleared, up in hot air balloons, as well as other rallies throughout the state. I am a sports enthusiast and currently a student at Metro. I am working towards a journalism degree and hope to one day work as a sports journalist for one of the major magazines or companies. I enjoyed your story. I have lived in Littleton for many years and didn’t know this existed. I’m glad to know about it. Cool story, I lived in Littleton and went to Columbine so this was always an awesome way of showing the support for the victims but to actually hear from the ballon owners and hear their story was a nice change. What a great way to honor the lives lost in Columbine. Good story, it was very cool to learn about how the city was honoring those with something as creative as a hot air balloon. Nice way of making the article flow with ease. Good job. I enjoyed the heartfelt nature of the story and the variety of sources you had. It was interesting to know what other community activities the CBC is involved in. I never even knew about this. What a great way to pay respect to the lives lost at Columbine.Great pictures too! I never knew about this. Great pick up story. It’s the best tribute I’ve seen in a long time – plus, great visuals. Very well written article- love the pictures as well!